Who should book a newborn session? My newborn sessions are perfect for any parent wanting to capture the tiny details of their precious new baby. When should I book? At least 2-3 months before your due date is ideal. I can sometime accommodate last minute bookings, but because of the time I dedicate to each of my clients, I limit the number of sessions I will schedule each month. 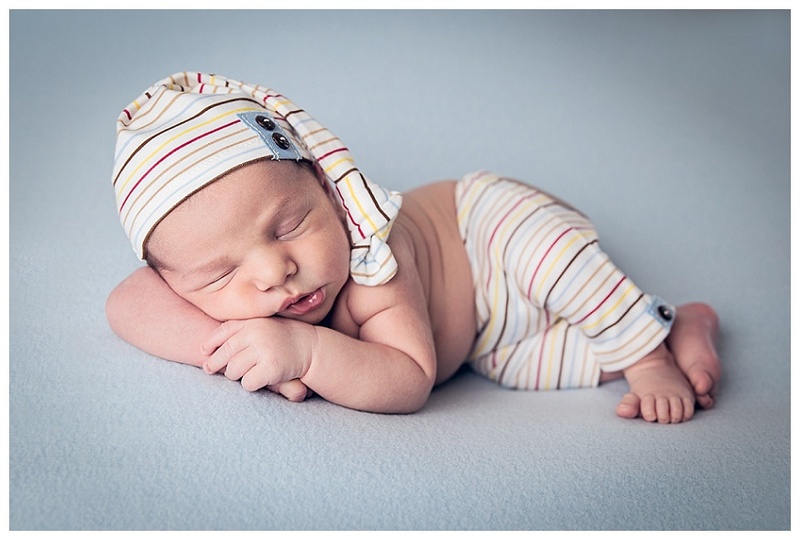 Newborns are best photographed between 4-14 days when they are still nice and sleepy, so booking your appointment while you are still pregnant will give you one less thing to do once your baby arrives, and ensures your spot on my calendar. Where will the session be? You will be able to come relax at my studio in Merritt Island, FL as I take care of all the work. Lifestyle sessions are also available in your home. How long does it take? I ask my clients to allow 3-4 hours for their session. While this may seem like a long time, I like to have time planned in for feedings, changing and soothing your baby without having any stress about your session time running out. If your little one is zonked out, we may finish sooner. What is the cost? My newborn session fee is $225. Prints, artwork and digital files are purchased separately and start at $75. What is included? My studio specializes in creating gorgeous custom artwork from the images captured of your new family. Your newborn photography experience includes an in-person consultation prior to your session to plan colors, pick props and discuss products, the 3-4 hour session, and your ordering appointment where you will see custom product ideas and wall designs I have designed based on your consultation. Why should I hire you? The safety of my newborn clients is my absolute highest priority, and as a professional I am current on my Tdap immunization and run a studio that is licensed and insured. I have studied both newborn safety, and the art of newborn photography, under some of the top newborn photographers in the world online and in-person, including Ana Brandt, Kelly Brown and Elisa Stambouli. In addition, I am a member of the Professional Photographers of America, Florida Professional Photographers, Inc. and the Professional Photographers Society of Central Florida.